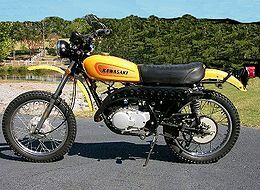 The Kawasaki F6 was a 125cc dual-purpose motorcycle manufactured by Kawasaki from 1971 through 1974 with the general overall look of the Kawasaki F4 and Kawasaki F5. 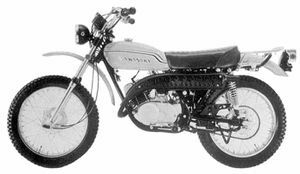 It was a very good Enduro motorcycle with it's higher horsepower for its class, enclosed carburetor, and ground clearance. 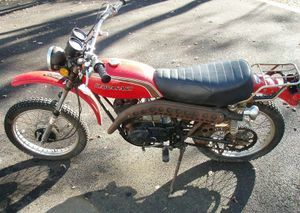 The Kawasaki F6 was a twin of the Kawasaki F7 175. The outstanding differences were: (a) The lack of the Hatta fork. (b) The red matrix design tank decal and "125" oil reservoir decal. (c) A black cast iron cylinder head. 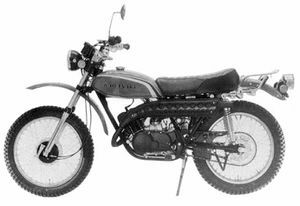 Remarks: Engine mounted on the same frame as the 175 cc F7 model. Major Changes: Color and marking. 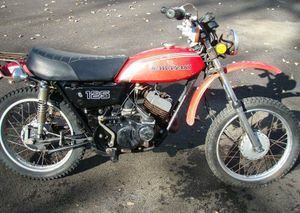 A "125" emblem affixed to the oil tank. 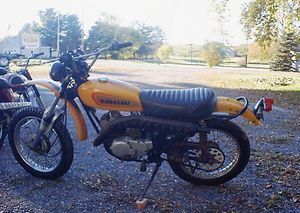 Major Changes: Color, marking, fuel tank, and seat. 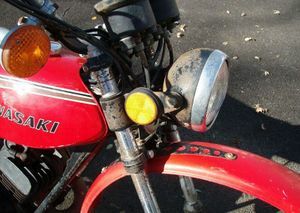 Turn signal lights as standard equipment. 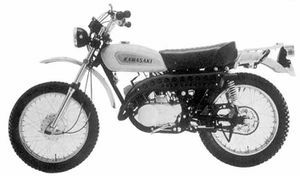 In 1974 the F6 was replaced with the Kawasaki KS125.